Calicut witnessed a few days ago the curious spectacle of large number of people forming a 'human chain' against Government of India's decision to sign a Free Trade Agreement with ASEAN nations. According to the organisers, the pact is part of an international conspiracy by the globalising forces to surrender the country's sovereignty and this would destroy Kerala's agricultural economy. The ruling coalition in Kerala has taken a consistent stand against globalisation which they interpret narrowly as allowing imports and permitting foreign capital. They are not against export of Kerala commodities nor against foreign tourists visiting Kerala and spending their dollars and Euros here. And obviously, they wholeheartedly support the export of human power from Kerala to the Gulf which sustains the economy and the intellectual activities of the leisurely class like human chains! Economics tells us that no country can only export goods while putting barriers against imports. Similarly, no economy can export human capital (as Kerala does to the Gulf and the western hemisphere) without permitting foreign capital -financial and human - to be allowed entry. Was Calicut always like this? What does Calicut's history tell us? The Persian envoy Abd-al-Razzaq al-Samarqandi who travelled to Malabar en route Vijayanagar in 1442 was one of the earliest chroniclers of Calicut during the Zamorin era. He describes the existence of a large settlement of foreign (pardesi) merchants - Arabs, Persian, Gujaratis, Khorasanis and Deccanis. These merchants were not itinerant traders - they were expatriates who were in Malabar for a considerable period. According to Razzaq, 'they were great merchants and possess in this place wives and children, and ships for sailing to all parts with all kinds of goods'. They were so powerful that they had their own courts which administered their laws without interference by the Zamorin. The fascinating story of a Jewish entrepreneur in the 12th century having settled down in Malabar and marrying a Nair woman had been revealed to us by Maddy (please see details at http://calicutheritageforum.googlepages.com/meeting923). These pardesis presented a striking contrast to the locals. While the latter were pitifully clad in a single piece of 'bandage around the middle called lankotah which descended from the navel to above the knee', the Pardesis were fastidious in the matter of clothing. '...they go well-dressed and adorned with silk stuffs, scarlet cloth, camlets and cottons : their head-dress wrapped around their heads. They have large houses and many servants: they are very luxurious in eating, drinking and sleeping...' (Razzaq). Their successors in the 17th century Calicut were wealthy merchants like Issac Surgun the Jew and Hajji Yusuf the Moplah of Arab descent. It was this opulent style of the expatriate resident traders which was copied by the first generation East India Company employees like Robert Adams in Calicut and Robert Clive in Calcutta. 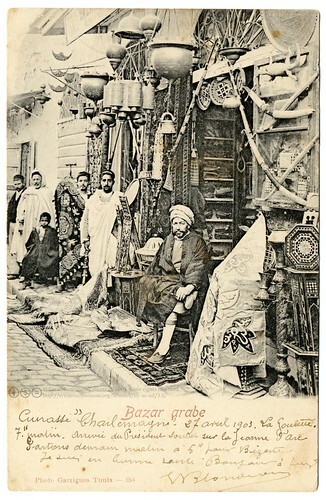 The Zamorin not only encouraged the Pardesi traders to settle down but even provided them secretarial and other assistance, much like the government's current policy of encouraging Special Economic Zones (SEZ) as enclaves of foreign capital operating under a different set of laws and protected from local threats. According to Duarte Barbosa, another traveller of the period, the Zamorin gave each foreign trader 'a Nair to guard and serve him, a Chetty scribe for his accounts and to take care of his property and a broker for his trade'. Abdul Razzaq recounts another instance of how far the Zamorin would go to please foreign powers and invite them to trade in his kingdom. Upon hearing of the power of the Persian King Shah Rukh, the Zamorin sent him some costly presents and a message, which read : 'In this port, on every Friday and every solemn feast day, the Khotbah is celebrated according to the prescribed rules of Islamism. With your majesty's permission, these prayers shall be adorned and honoured by the addition of your name and your illustrious titles'. It's ok to be a toady if it promotes the trade of the realm! The grand reception which Vasco da Gama received in Calicut ( 'With pomp unwonted India’s nobles greet/The fearless heroes of the warlike fleet. ',according to Lusiad) has been well documented. Similarly, William Keeling. Esq. was passing down the western coast in his ship 'The Dragon' when a 'Tony' (the Malayalam word for a boat, Thony was very popular) approached the ship with a message from the Zamorin. Keeling was requested to go to Cranganore where the Zamorin was camping, and soon a treaty was signed in haste on 10th March 1616, permitting the English East India Company to establish a post. The French did make a gesture of helping the Zamorin, but that is another story! Yes Calicut was always open to foreigners coming settling and doing busines here. But many foreigners led secluded lives. I would say that the Gujaratis never integrated with the local population even after being here for 400 years. Jews never 'belonged' to this place though they were speaking and writing in Malayalam. Isn't that peculiar? You must believe in give and take. The GOD wants you to do so.See the "Dead Sea". When things are in one way nothing lives.It is time to drop "ISAMS" and be practical. For 35/40 years the computor was opposed . what is situation now ?.The people who opposed it cannot go about without a PC!!! That was a good one CKR, a good reminder to those with closed minds. Hey jaipee, you are right and partly wrong.From old times, integration was not permitted by society and the caste system was very tight in Kerala. Neither the Jews or any of the Vania castes could mingle with the others around. Also as you may recall, the North Malabar nairs would not marry south of Korapuzha and central Malabar nairs would not cross Trichur. So you can imagine how it was between castes & religions!! Very nice peice. I would say "Open your doors and let the Sun shine"
"Malayalee" especially the north Malabar "Malayalee" has always been welcoming and nice to others coming from out side.I do not think that it was because of the hesitation of the local people here that those who came did not mix those who came- they wanted their cultural identity to be kept and did not want to be absorbed by the local community and be a part of the local society. May be there is nothing strange about that and as long as there are no conflicts it is good in many ways.Variety and diversity is the spice of life, I think. Thank you, Jaipee for your interesting comment. 'Gujaratis' are not foreigners in the sense French or Portuguese are. They have their own caste and other prejudices like the rest of us Indians. But, the foreigners were not too insulated - many of them had local wives and children and mixed freely with the locals. Robert Adams the English agent in the early 18th century used to speak Malayalam fluently and go about as a Malabari. I agree, however, that the Jews were rather segregated but that was probably because their religion is founded on the dream of returning to the 'promised land'. Yes, Premnath, Kerala is fast becoming a 'Dead Sea' what with all the xenophobia spread by petty politicians who want to enslave the local population to some decrepit ideology of the 19th century. Thanks, Maddy for clarifying the issue raised by Jaipee. Yes, Swansong, there is great merit in keeping peace even if it demands a certain segregation. But, we cant generalise on these issues as we find several exceptions. Please visit Maddy's site www.historicalleys.blogspot.com to see many such instances of locals willingly converting themselves to the religion, culture and mores of the visitors like Portuguese. Finally, a big thank you to PNS for the encouragement!